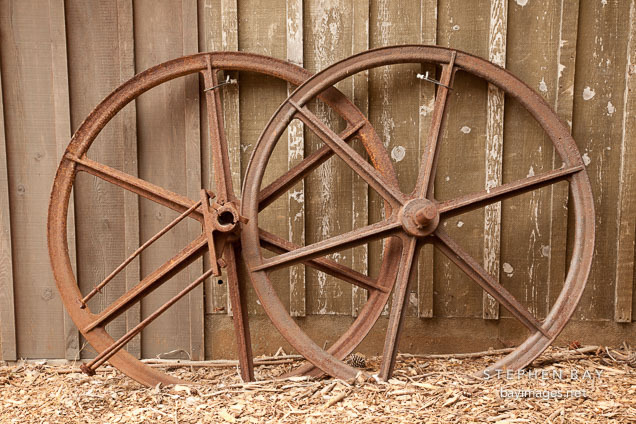 Photo: Rusted wagon wheels at the Whaler's cabin. Point Lobos, California. Rusted wagon wheels at the Whaler's cabin. Point Lobos, California.